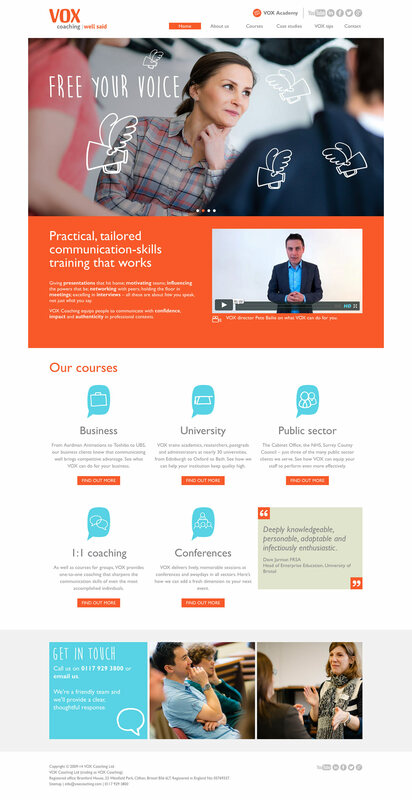 VOX Coaching delivers practical training, transforming people’s communication skills within a professional context. Their tailored courses equip a growing list of business, public sector and university clients with the skills to present, motivate and influence with confidence. Vox Coaching’s company mantra is “The best communicators speak the truth as themselves”. 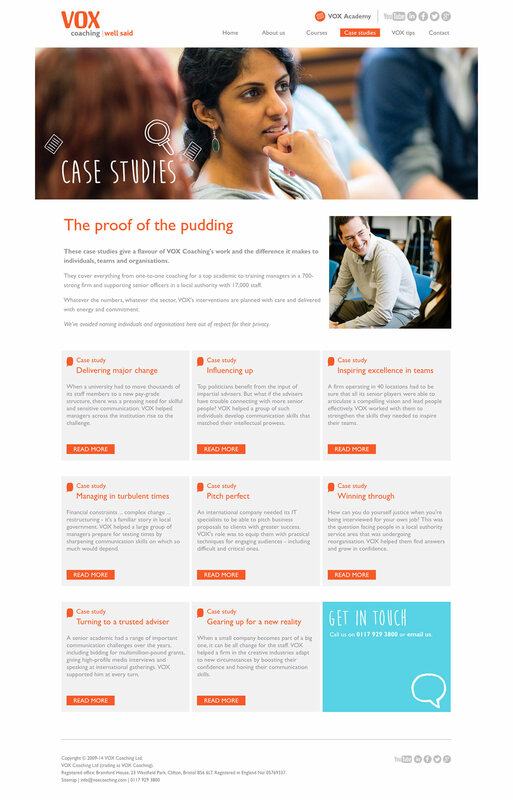 This acted as the perfect stimulus for our new website design – replacing their old, self-effacing site with a contemporary online presence, effectively communicating the company brand, ethos and proposition with clarity and composure. 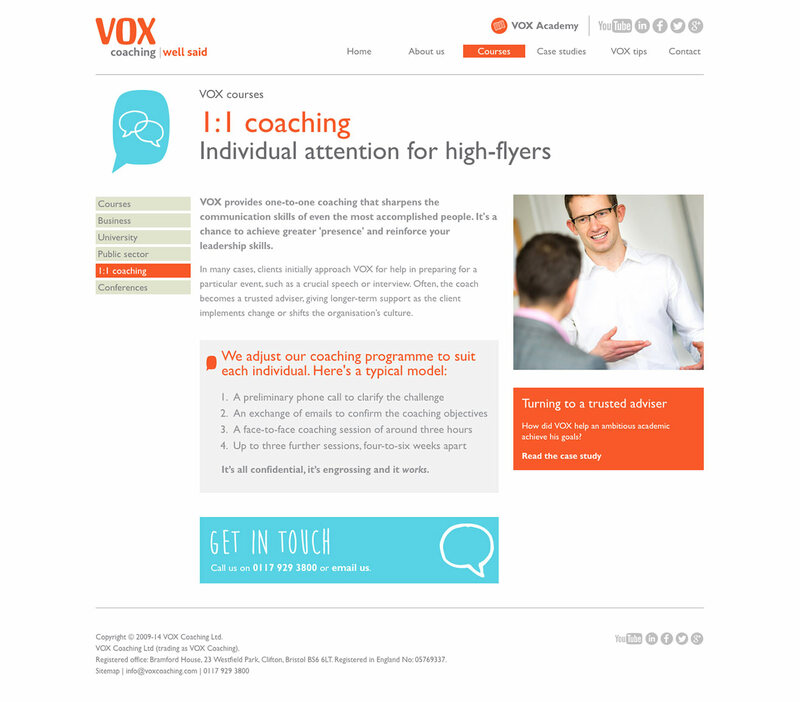 The new VOX Coaching website comes fully loaded with our own light-weight content management system, which easily publishes site content and features to a responsive layout across mobile, tablet and desktop devices. We’re currently building the ‘VOX Academy’, a member’s only dashboard where participants can download material to support their course attendance.